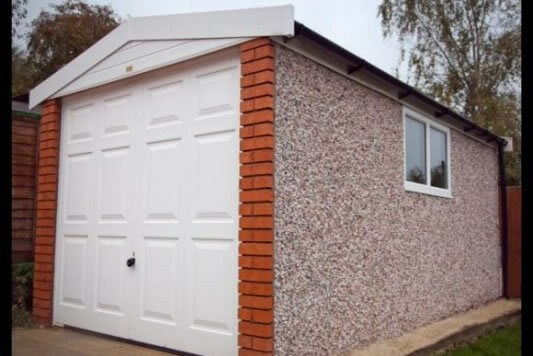 Proud to be suppliers of Lidget Compton concrete garages, we offer a vast and varied range of concrete buildings including brick, stone, spar (pebbledash) and hand rendered finishes to pent, apex and mansard roof designs. Visit our showroom [how to find planet garages] to find examples of many of these options. since we have eight concrete garages, sheds and workshops on display. 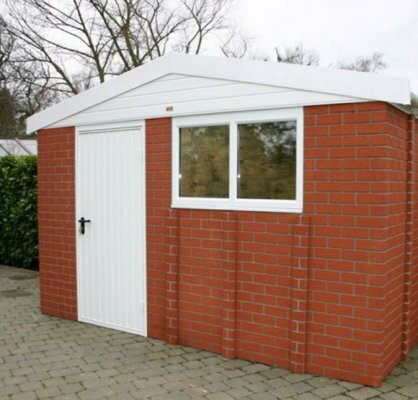 Package #1 (MF) The Maintenance-Free offer includes PVC Fascias and window, vertical-rib pattern steel access and main door, guttering, internal sand/cement fillet and timber weather-bar. Package #2 (PO) Takes the above and to includes Georgian style doors, choice of four attractive brick front pillars and opening PVC window. Now choosing from Apex standard, Apex 15° and Apex 20°. Whilst our standard building has a roof clad in grey/white fibre cement corrugated sheets, the Lidget Compton Apex 15° and Apex 20° offers attractive tile effect garage roofs in a range of complimentary colours. 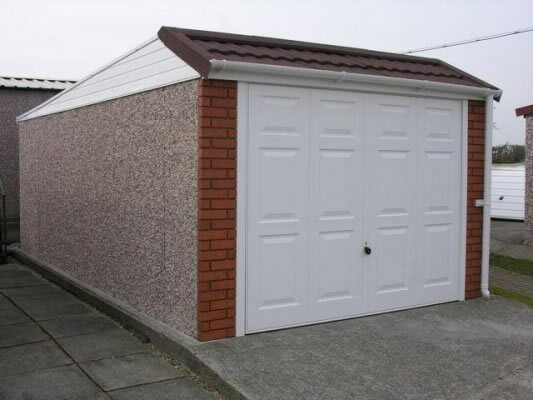 All our garages are offered in spar (pebbledash) brick, stone and hand rendered external finishes. Compare this with our rivals. 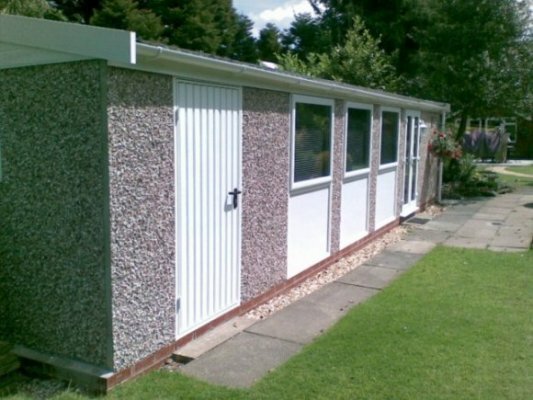 Cost effective, practical and secure, the pent range is guaranteed to be below local authority height restrictions. Our corrugated steel roof supplied in predominately one piece lengths adds the next level in security to this popular model. The LidgetCompton Mansard is a high specification building which includes PVC fascias and tile effect to the front elevation and available in all the popular sizes, external finishes choosing from spar, brick, stone and render. Reinforced stele concrete sectionals provide a secure storage solution. These building are often specified by insurers to accommodate motorbikes and mobility scooters. 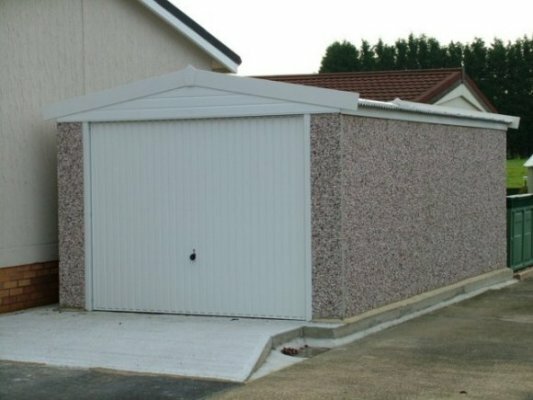 Like our of range of concrete garages, roof style maybe varied, maintenance-free and security options specified. Create extra living space for the home office or simply somewhere to relax or pursue your hobby. Our range of maintenance-free products has been expanded to include PVC French doors and full-height windows and PVC pedestrian access doors. 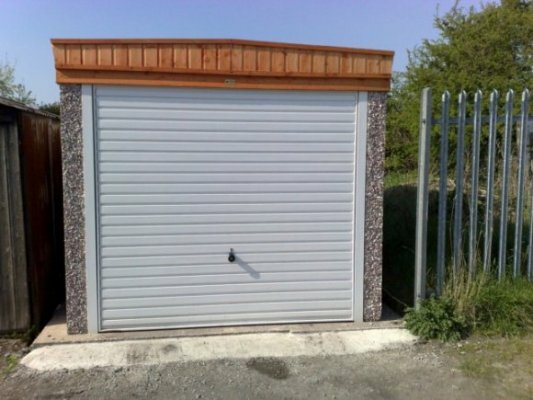 Our showroom [how to find planet garages] has a fine example of such a conversion with is both lined and insulated.